The Rhythm System is Matt Saltzer: a master disc jockey, master of ceremonies, coordinator and entertainer with over 30 years of experience making events fun in and beyond Harrisburg, PA.
Matt will work with you to create a personalized experience based on your vision and dreams. You aren't hiring a company, you are hiring the talents of an individual with an impeccable reputation. Matt provides exactly what you want and more than you expect. Interactive DJ entertainment, including dance instruction and activities of your choosing that engage your guests. Event coordination to ensure a smooth flowing event. Lighting, decor, and so much more. 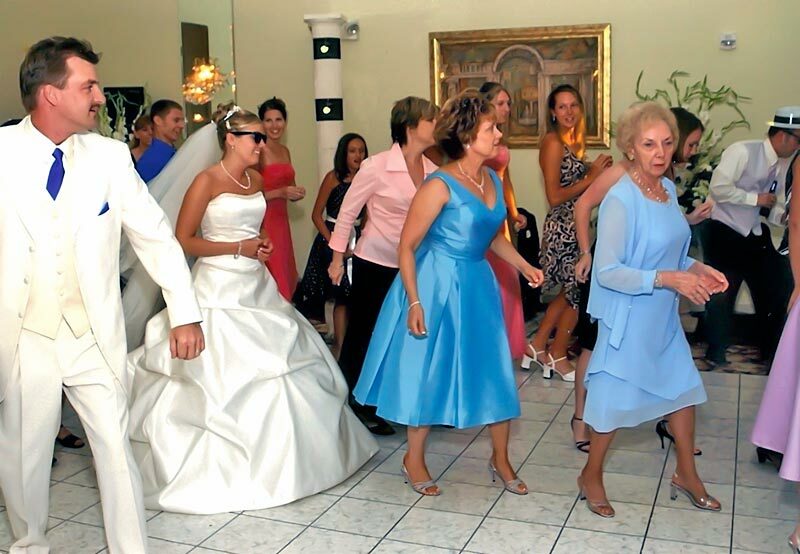 Click for more information about personalized wedding day entertainment or DJ services for banquets, dances and parties for groups 16 and older in and around the Harrisburg, PA area. *Note that the more economically priced Essentials Package does not include the 200% money-back guarantee. For weddings, the Premium, Grand, Legendary and the Moon packages include the written guarantee.